More than 90 original cocktails made with Alberta and B.C. spirits will be available in Banff and Lake Louise from January 16 to 27. Sure, our region’s beer is a fabulous thing. But for 12 days in January there’s a new festival that wants to bring your attention to the world of cocktails. Tribute is a Quebec-based events platform for craft-distilled liquor and other artisan products from the minds behind the Made with Love cocktail challenge. 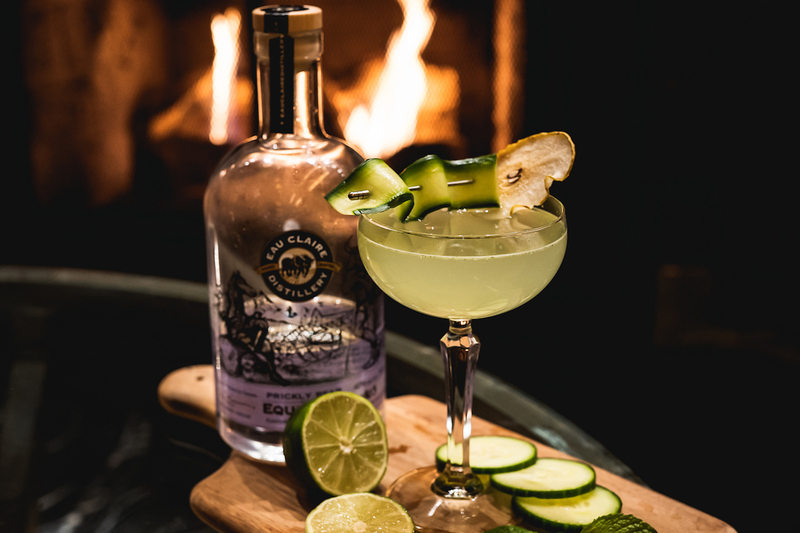 As part of its first-ever Tribute to Craft Spirits Festival (in conjunction with Banff and Lake Louise’s SnowDays Festival), more than 90 cocktails made from local spirits will be served in 17 Banff and Lake Louise bars and restaurants during the festival’s 11-day run from January 16 to 27. The festival ends with an outdoor event held on Bear Street in downtown Banff over January 26 and 27 where cocktail fans can converge and try numerous offerings in one handy place. This event offers free admission and tasting coupons are sold for just $1 a pop. Let’s be real, few can (or should) attempt to try nearly 100 cocktails in under two weeks. Instead, consult our sample list of excellent libations to help guide you narrow down your must-drink list. The full list of cocktails is available at spiritsfest.tributetocraft.com. Photograph courtesy of Tribute to Craft Spirits Festival. The legacy gin from Penticton’s Old Order Distilling Co.‘s legacy gin is the star of this cocktail. 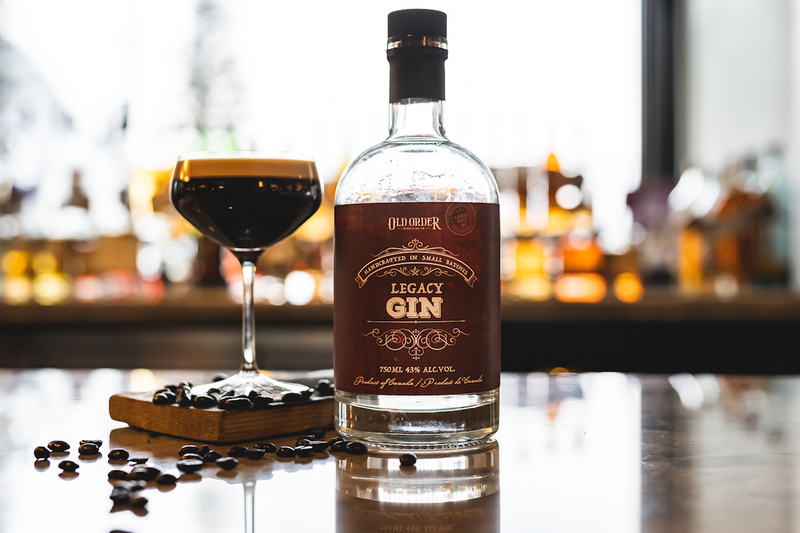 Made according to the style of a Dutch genever (a proto-gin spirit whose naming rights are restricted by region à la Champagne), the legacy gin is made with malted barley and B.C.-grown fruit. It is mixed with Patròn café tequila and a ginger puree for a complex flavour profile spanning familiar notes of coffee, citrus and botanicals. 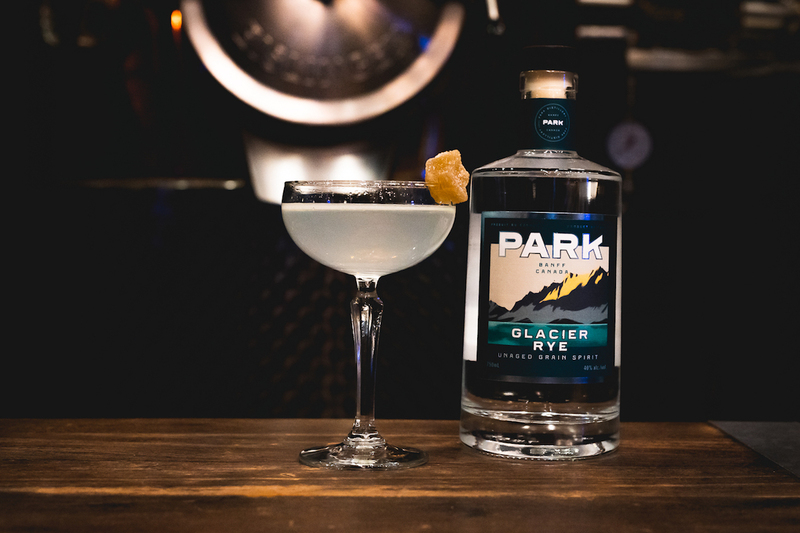 Banff’s own Park Distillery glacier rye is combined with Luxardo maraschino and ginger liqueurs, lemon and orange juices and simple syrup then garnished with candied ginger. The beverage plays bursts of sweet and tart against the unaged, clear-coloured rye to a clean but flirty effect. 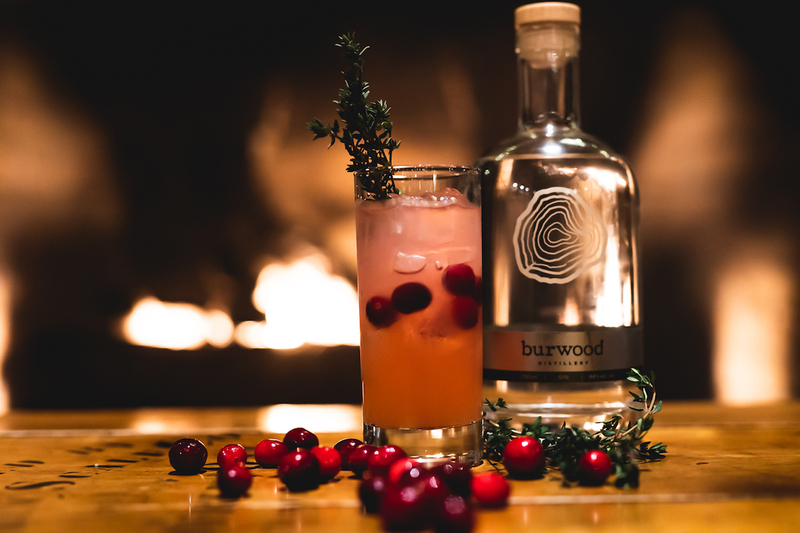 Calgary’s Burwood Distillery gin is a versatile but still keenly artisan spirit with pinches of Szechuan pepper and grains of paradise giving the juniper a layered heft. Its rich character pairs beautifully with a simple blend of cranberry simple syrup, lime juice, fresh cranberries, tonic and thyme. The combination is somewhere between Christmas party punch and an afternoon on a summer patio. 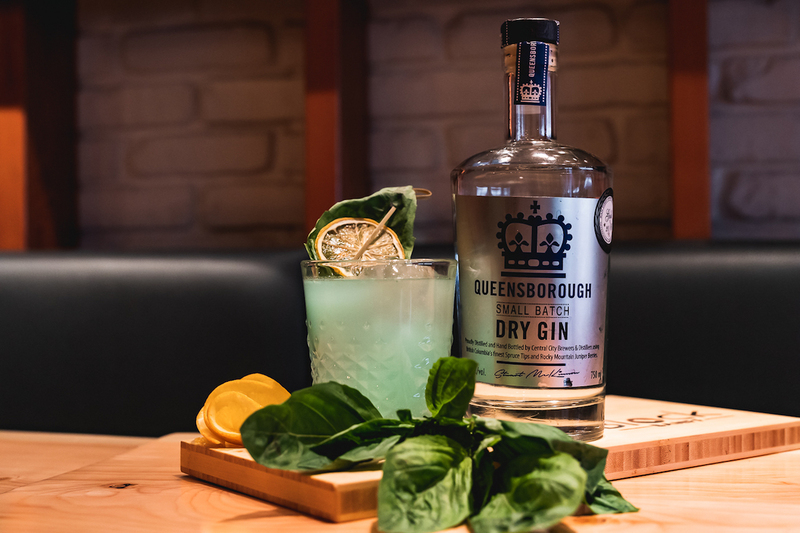 Central City Brewers & Distillers‘ award-winning Queensborough gin is made in a London dry style — think less wood nymph and a little more James Bond. It is complemented by the simplicity of Lillet blanc, sugar syrup and basil while contrasted with a kaleidoscope of flavour courtesy of blue curacao and yuzu juice. Its gorgeously clouded neon colour makes it almost too pretty to drink. Almost. 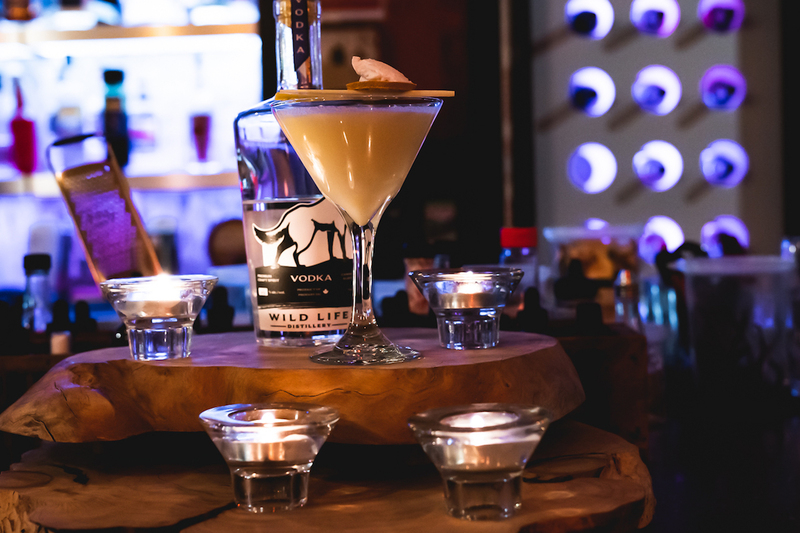 Canmore’s Wild Life Distillery has created a vodka that manages to be sweet and smooth while still packing a wallop. Fittingly, it’s been given the dessert treatment with lemoncino (a.k.a. limoncello) liqueur, lemon juice, aquafaba (a vegan-friendly replacement for egg whites), agave and coconut cream. Enjoy some of the establishment’s vegetarian fare before imbibing to make this a guilt-free treat. Pay tribute to one of Banff’s most historical figures with this twist on a classic. 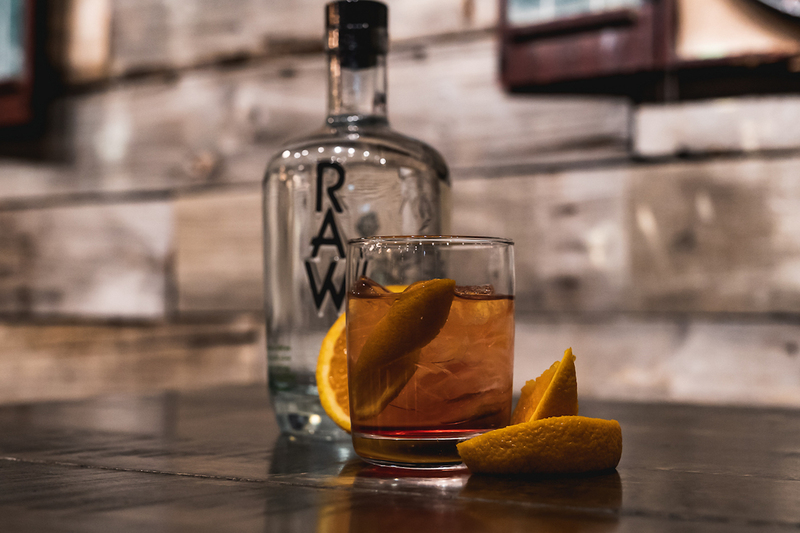 Raw Distillery‘s botanical gin out of Canmore gives the Old Fashioned an herbaceous kick in the pants. Named for the man who shaped early Banff with a bold business savvy, this drink uses orange bitters and peel, honey syrup and grenadine to create something both familiar and refreshing. There must be something in the water in Kimberly. 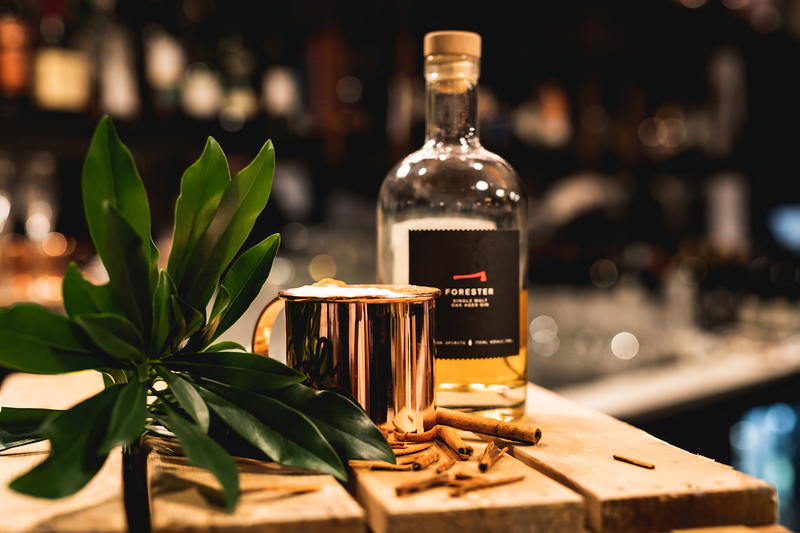 Its Bohemian Spirits‘ forester single malt oak-aged gin is an experimental re-imagining of a classic that only gets more interesting when served hot and paired with apple juice, honey syrup and Scotch-based Drambuie. This is the evolved, adult-friendly upgrade from hot apple cider you’ve been waiting for. Eau Claire Distillery‘s Prickly Pear Vodka is the star of this refreshing creation that is reminiscent of a mojito crossed with a Pimm’s cup. Paired with simple syrup, lime juice, mint and cucumber, this cool breeze of a beverage will have you forgetting all about sub-zero temperatures. We recommend it after a dip in the neighbouring Banff Upper Hot Springs. 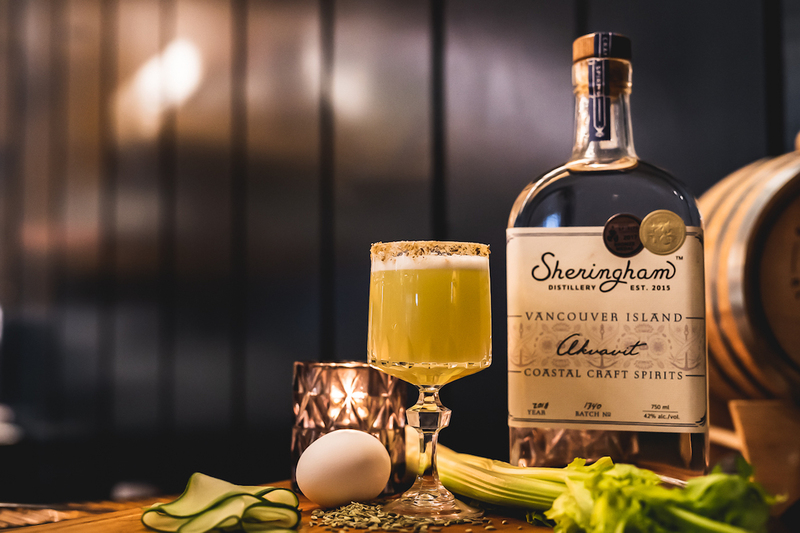 Sheringham Distillery‘s aqvavit is a tribute to a Nordic spirit dating back to the 15th century with a modern, Vancouver Island twist. Its caraway, dill, anise and citrus notes are entwined with a mix of earthy, herbal accompaniment from celery cordial, absinthe and a garnish of celery salt and fennel. It’s then leavened by lemon juice, cucumber essence and egg white. A lemon and thyme tincture equalizes the poles of this cocktail’s complex profile.